Do you dream to visit the moon? 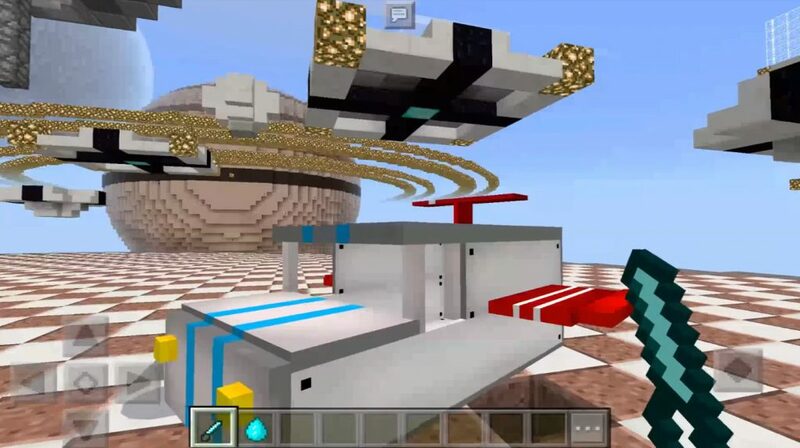 Now in the world of Minecraft PE dimension End, using the mod The Space, will turn into a lunar dimension! The stone, stone brick and portal edge have been sloughed down recycled to transfer you to a different atmosphere. 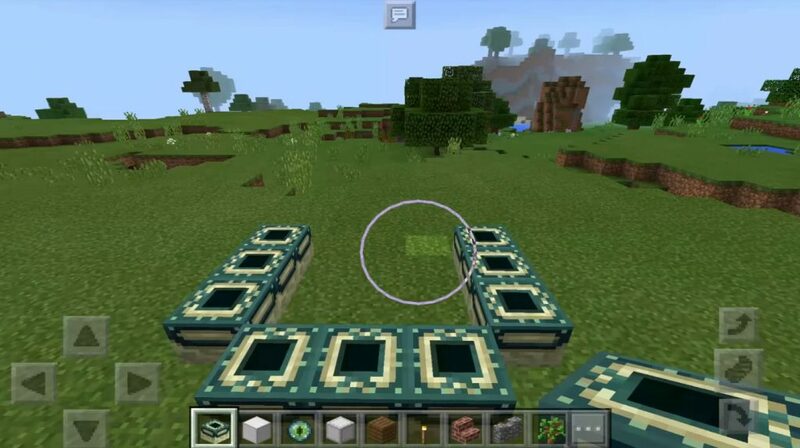 In addition, now in the world of MCPE, gravity has weakened a bit to create a space effect at least a little. And just in case, you now have a spacesuit! 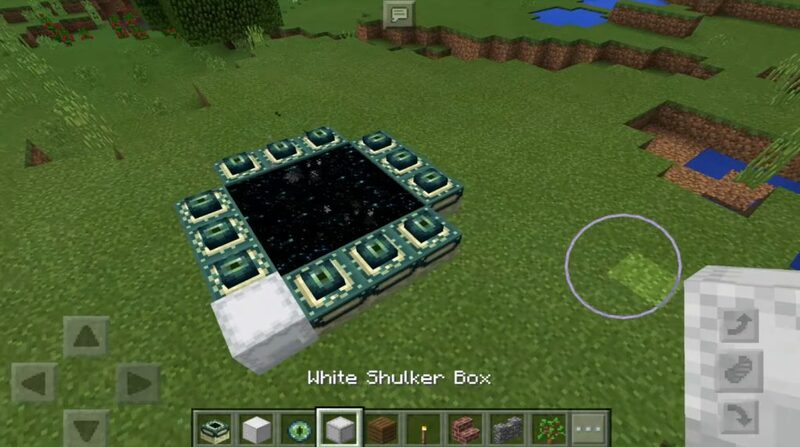 Now in the world of Minecraft Pocket Edition to make a space adventure has become very simple. You just need to go through the portal to be on the Moon! But before you go on this journey of Minecraft PE, be sure to put on a spacesuit that will give you several additional benefits (see below). It is worth noting that without it, your health will be equal to only 7 hearts, and plus to this, the speed of movement will significantly decrease. Since the new space suit in the world of Minecraft Pocket Edition replaces leather armor, you can paint it in any color you like. All you need for this is a boiler, some dyes and water.